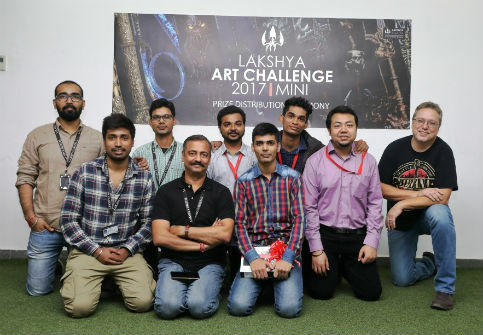 Gurugram: Lakshya Digital, India’s leading Game Art development company recently organised a unique and first of its kind challenge for video game artists from across the country. The challenge was a month-long contest that started on 15th August and ended on 15th September 2017. The contest witnessed an overwhelming response from participants that included art students, budding game artists and professionals. The challenge was divided in to three categories viz.students, professionals and Lakshya Digital’s employees. 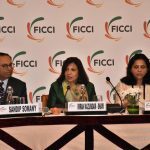 Over 280 contestants from more than 22 cities participated in the month-long competition that included over 180 students and 100 professionals. The challenge given to the contestants was to design and create 3D models of new weapons based on a brief provided to them. 25 students and 11 professionals made to the final stage of the challenge. SomeshSilam from Pune was the winner in the student category,Hatim Mandarwala from RDU Technicolor Bengaluruwas the winner in the Professional category while Purushotam from Lakshya beat tough internal competition to emerge as a winner among Lakshya employees. All winners of the 1st edition of the Lakshya Art Challenge 2017 were felicitated and awarded at a ceremony held in Gurugram today. Industry veteran Robert Olson, Chief Creative Officer from Lakshya Digital’s Seattle (USA) studio felicitated the three winners from each category. The students were also offered an internship at Lakshya Digital Studio. The winners received a certificate and a prize on the occasion. The objective of organizing the challenge was to encourage and motivate young developers as well as create interest among youth to choose game art development as a career option.